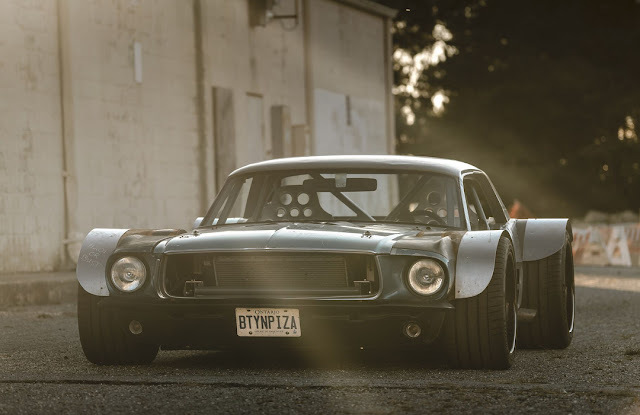 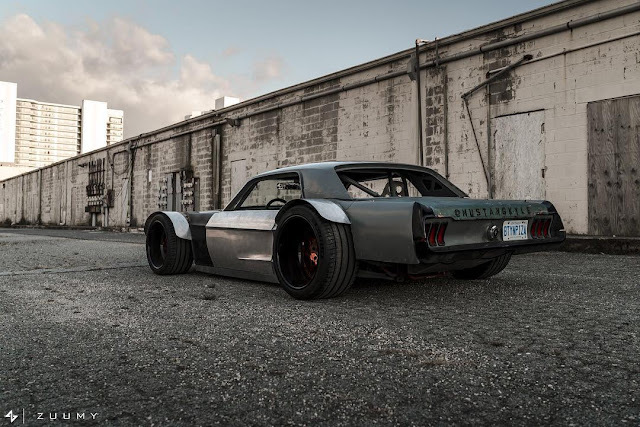 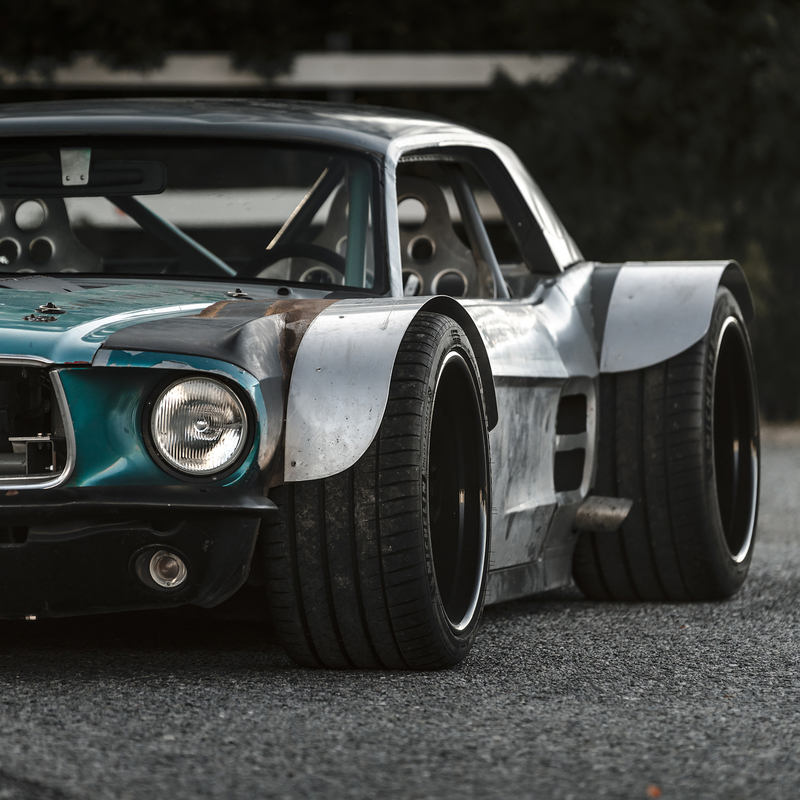 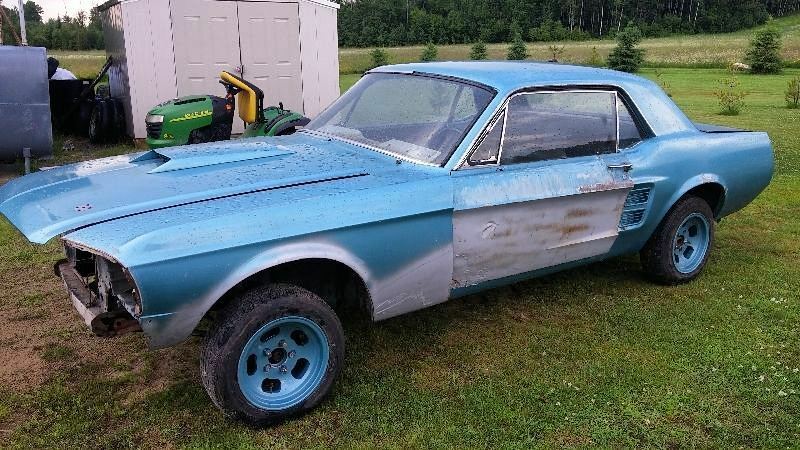 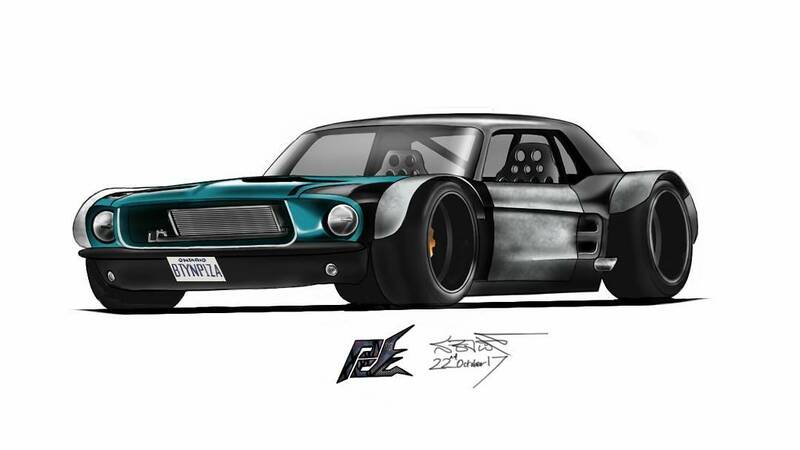 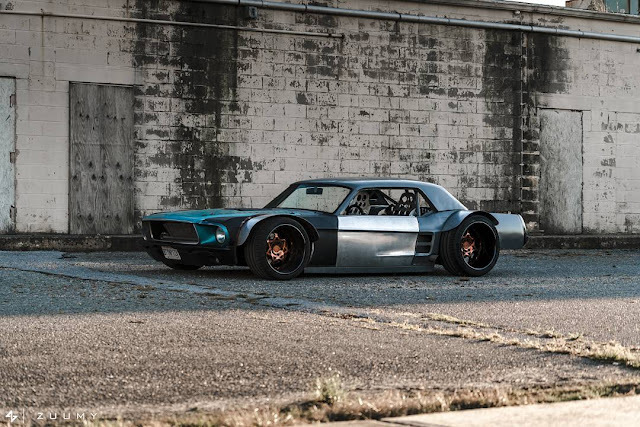 The story started back in early January of 2016 when the Canadian fabricator, Kyle Scaife, decided to bring back to life a too-far-gone 1967 Ford Mustang. 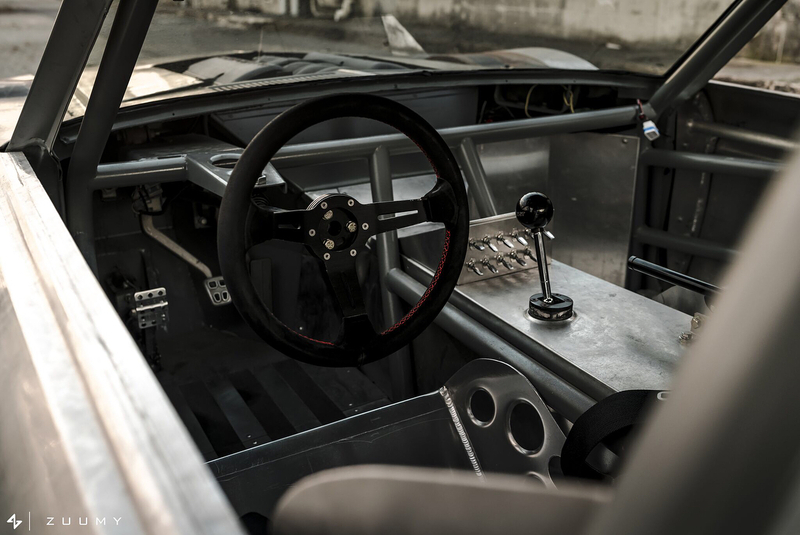 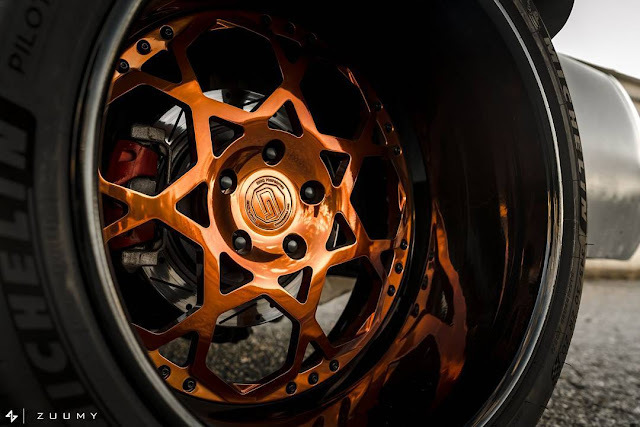 But unlike most of the gearheads, he decided to go with the raw treatment on it; instead of a long, costly restoration. 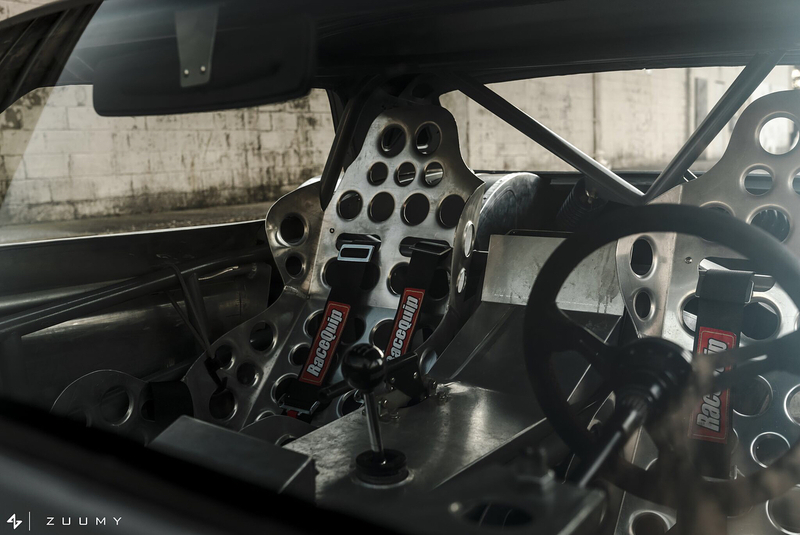 From there, there was a lot of cutting and chopping goin' on. 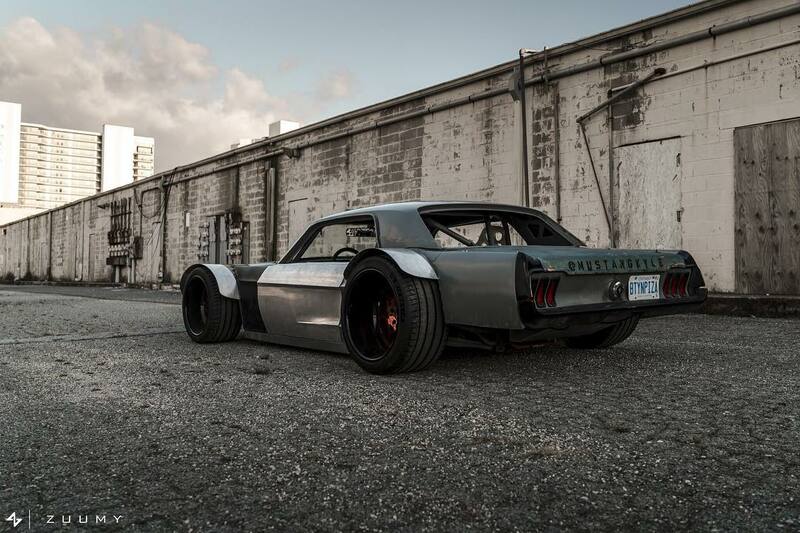 The Stang was heavily chopped and slammed and been treated with a widebody without major cosmetics to hide that. In fact, the only bits of Mustang left were the roof and rear quarter panel. 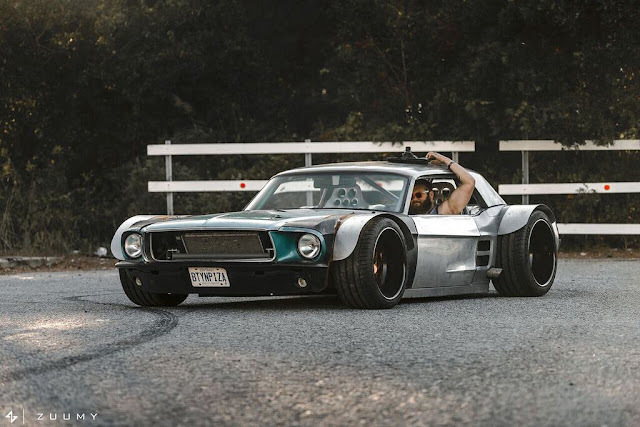 The whole car was built by Kyle and his dad, in his father’s fabrication shop. 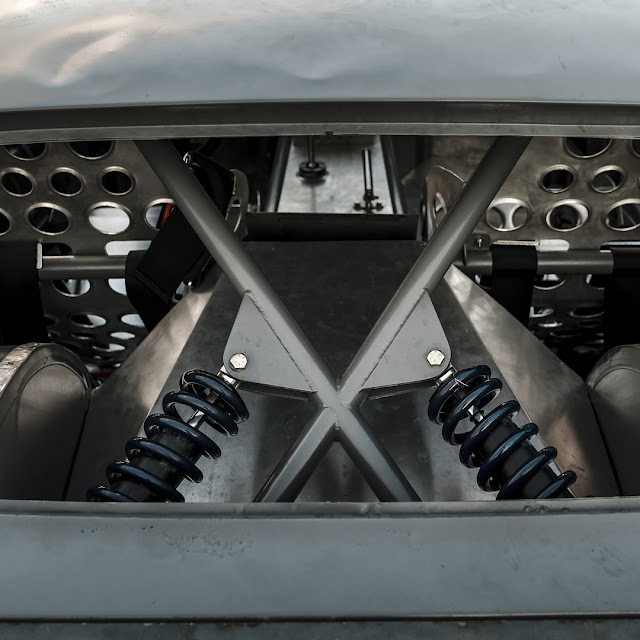 They designed and built the tubular frame as well. 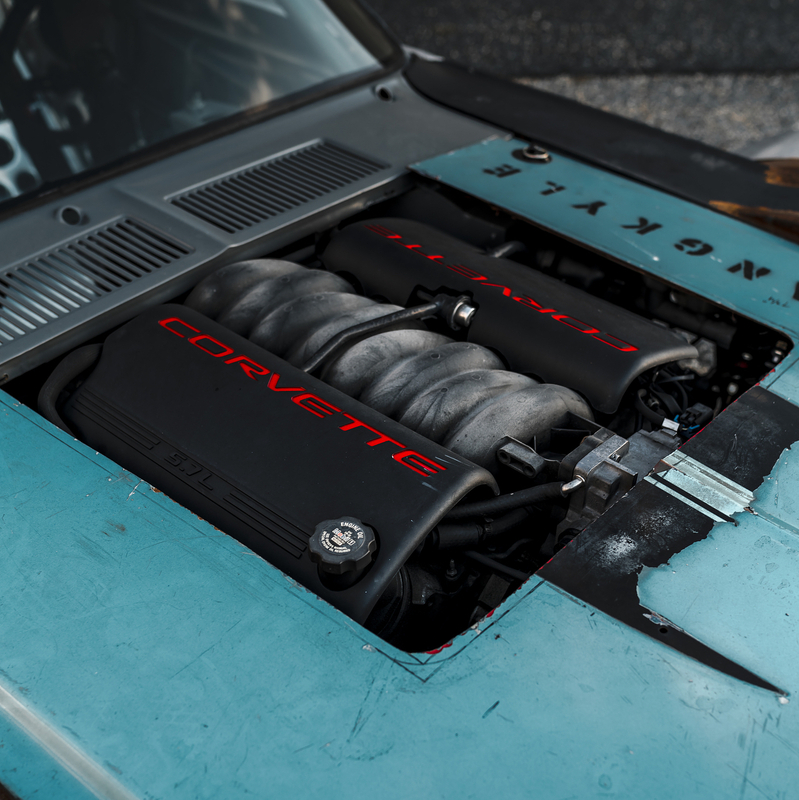 The LS1 inside the Vette was fitted with a Texas Speed and Performance camshaft and a Holley Mid Ram intake. This combination should make around 420 hp's. You can check out some more details in the Q&A video from YouTube below the photo set. 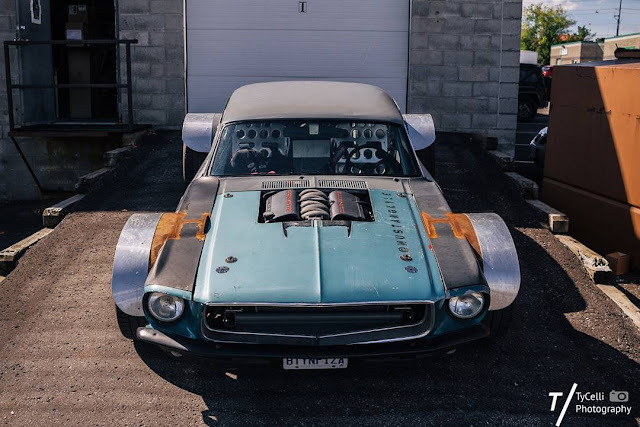 It's maiden test ride was held on July 2017. 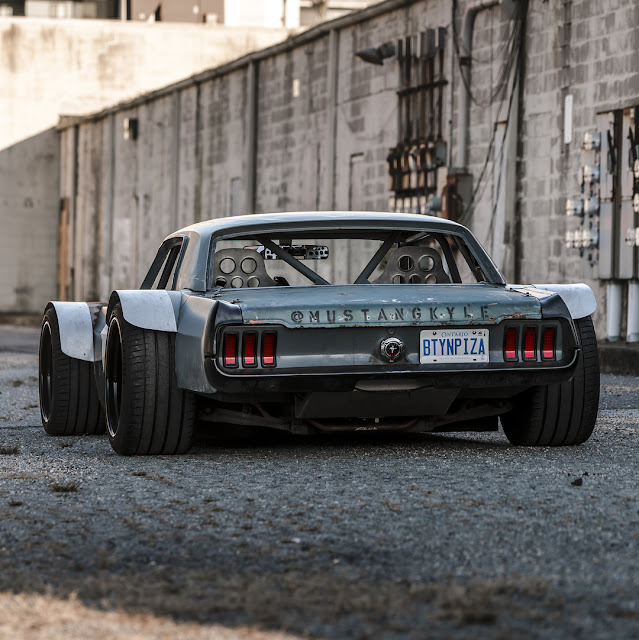 A raw, low and wide, loud and twisted Mustang ! 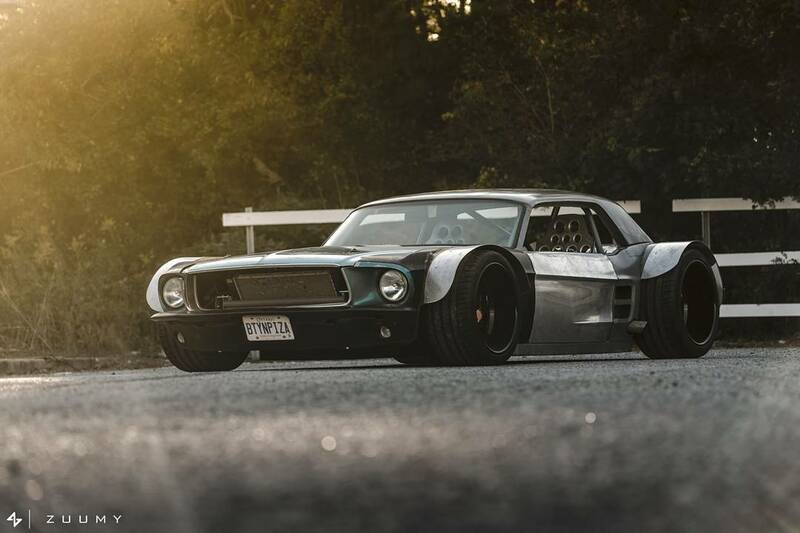 Check Mustang Kyle online, here.